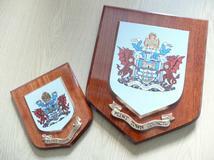 Shaw & Sons offer a wide range of styles and manufacturing methods in the production of shields and plaques. Whether you are looking for an individual shield or a family crest, or larger quantities for special presentations, our knowledgeable staff can advise you on the most suitable option. Shaw's highly skilled artists employ a variety of techniques, from traditional flat painting and embossing to screen-printing. All shields are mounted on beautiful solid hardwood mounts. 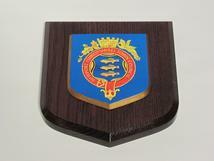 A range of enhanced products is available that includes the production of your shield or plaque using our high relief technique. This method involves a high quality casting process that will accurately reproduce any intricate designs on a variety of base shapes and sizes. Please call to discuss whether your design is suitable for this. 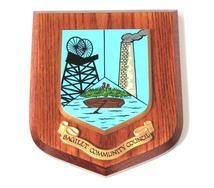 A bespoke service is also available for external wall plaques; please contact us for more information. Once Shaw & Sons have produced your shield, crest or plaque we will hold a copy of your artwork so that repeat ordering is as easy as making one phone call. Call Shaws to discuss your requirements on 01322 621100 or alternatively email sales@shaws.co.uk.